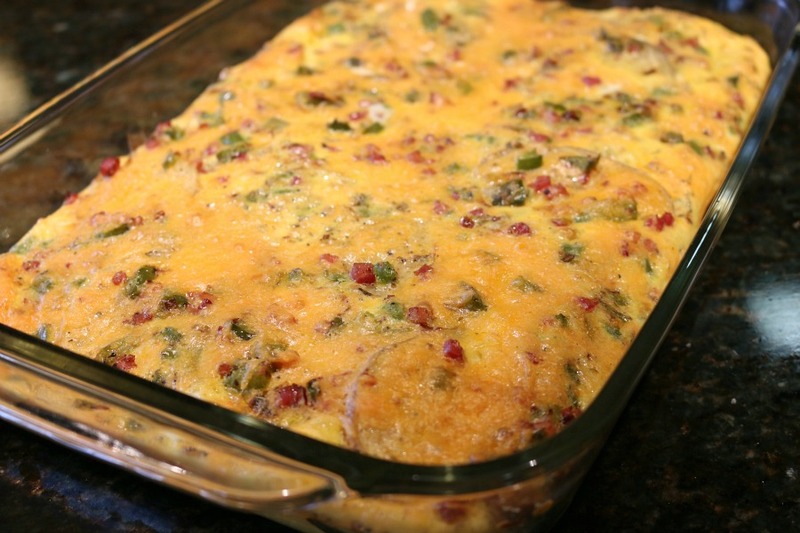 Hearty Breakfast Casserole this makes a great weekend meal. Coat 9 x 12 baking dish with butter. Layer potatoes and season with garden seasoning, salt and pepper. In a saute pan add remaining butter and cook pancetta, leeks and bell pepper. Saute for 3 - 4 minutes or until they are tender. Sprinkle cooked mixture over potatoes and sprinkle with cheese. In a large mixing bowl beat eggs until well blended. Season with salt and pepper. Pour egg mixture into pan. Bake at 350 for 25 - 30 minutes or until center is fully cooked. Allow to set 5 minutes before cutting and serving. Chopped ham, turkey or sausage are great in this recipe. As far as the vegetables go you can use almost any vegetable in this recipe. So get creative and let me see what you are cooking in your kitchen. 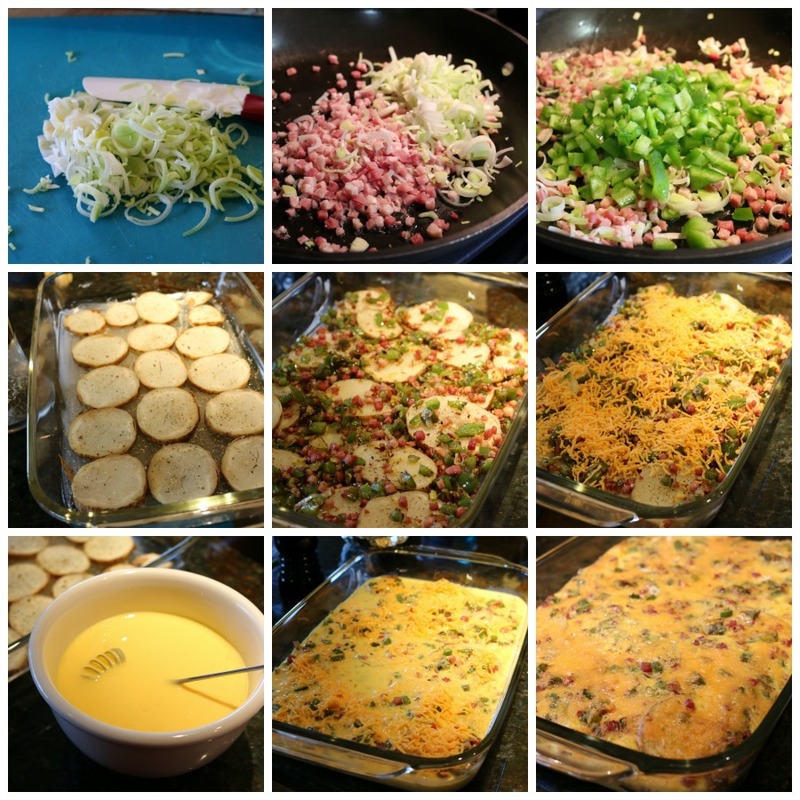 Creating breakfast for 8 – 12 people is fairly easy when you make a large breakfast casserole. This hearty recipe will be a crowd pleaser at your next brunch! Follow these simple steps and make your next brunch a huge success. 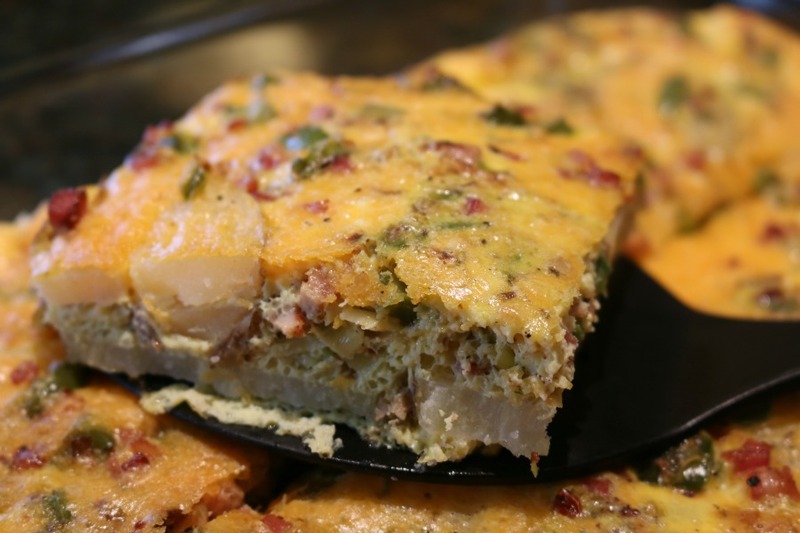 This Hearty Breakfast Casserole makes a beautiful presentation. The easy part is using leftover baked potatoes to make lots of delicious layers of flavor. Add your favorite ingredients to this recipe and create your own twist. Share your pictures with me on Facebook.